Stefani is a very affectionate kitty. 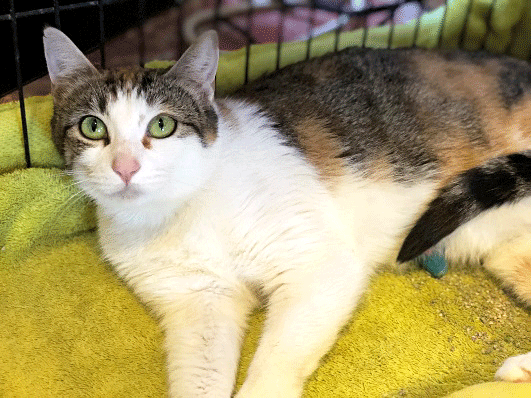 She and her sister Gwen were surrendered to a local shelter when their owners moved and couldn’t take them with them, and we took them into our program. Stefani is a bit more brave and outgoing than her sister Gwen when it comes to new environments, but she does still take a little time to warm up in a new situation. She’s very sweet and enjoys being pet. She’ll roll over for belly rubs and purr up a storm. 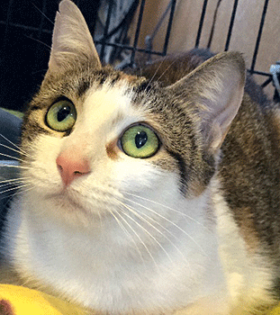 Overall, she’s a mellow, affectionate girl who deserves a loving forever home.